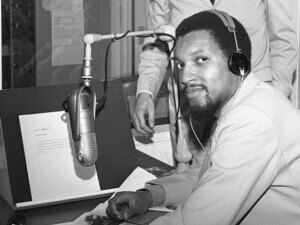 African American record executive Tom Wilson produced some of the most seminal albums and singles of the 1960s by Rock and Roll Hall of Fame inductees including Bob Dylan’s The Times They Are a-Changin' and 1965 single, Like a Rolling Stone; Simon & Garfunkel’s 1964 debut LP Wednesday Morning, 3 A.M.; Mothers of Invention’s Freak Out! ; the Animals, the Velvet Underground, featuring Lou Reed and John Cale, and more. Join writer, musician, and critic Greg Tate (Village Voice, Flyboy in the Buttermilk, Black Rock Coalition) and Grammy Award-winning producer Craig Street (Cassandra Wilson, John Legend, Norah Jones, k.d. lang, Meshell Ndegeocello, among others) as they discuss the impact, influence, and innovation of Wilson on some of the most recognizable sounds of the 1960s. Cosponsored by Musical Studies Program and the Departmet of Africana Studies.